Google's Trusted Contacts made its debut on Android last year but starting today iOS users will be able to reap the benefits of having such an app installed on their devices, too. 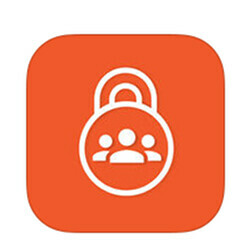 The search giant has just announced Trusted Contacts is now available for free to all iOS users via App Store. With Trusted Contacts, users can share their location at the request of their friends and family, even if their handsets are offline. First, you'll need to make a list of your closest friends and relatives, which will receive your location. Whenever you're unable to respond to a request from your trusted contacts, they will receive your last known location automatically within a custom timeframe. If everything is fine, you can deny the request, and your location won't be shared with your trusted contacts. In related news, the Android version of Trusted Contacts received a major update that brings a couple of new features. For example, Android users will be able to add trusted contacts by number, as well as by email address. Also, you can now choose how long to wait before your location is automatically shared with a trusted contact who is requesting your location. The time was set to five minutes by default before the latest update, but now you will be able to choose to share your location immediately or wait up to one hour. Lastly, support for new languages has been added as well, which means Trusted Contacts is now available in nine additional languages: Amharic (Ethiopia), Greek (Greece), Persian (Iran), Bahasa (Indonesia), Macedonian (Macedonia), Burmese (Myanmar), Nepali (Nepal), Serbian (Serbia) and Urdu (Pakistan).